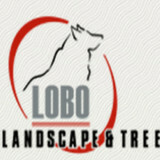 Lobo Landscape and Tree is a family owned business that provides lawn care, tree trimming, irrigation repair, new construction and regularly scheduled maintenance in Queen Creek, Gilbert, Chandle, Mesa, and most other cities in the East Valley. Operating as a Sole Proprietorship since 1999, Lobo Landscape and Tree is LicensedLandscape Contracor with all of the necessary insurance coverage required to do residential lawn care and commercial landscape management. We are actively engaged in commercial and residential landscape, lawn care, and tree care including the expertise of and ISA Certified arborist, HOA tree care services, tree health and hazard consultations, tree pruning, tree trimming, tree removal, stump grinding, and tree replacement and planting services. We also offer HOA maintenance, irrigation repair, new construction and installation, seasonal planting and fertilization, weed control, hazard and emergency remediation, and monsoon preparation and repair. Our team is filled with highly qualified and skilled employees with experience and training in the landscape industry which include an ISA Certified Arborist on staff. If you are looking for honest, reputable, and reliable landscape, lawn care, or tree trimming services in Queen Creek, Gilbert, Mesa, Chandler, and San Tan Valley, then Lobo Landscape and Tree is the lawn care and landscape service specialist for you. 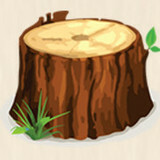 Owner and long-time arborist John Gannis, started JP Tree Care LLC over 25 years ago with one thing in mind; Bringing professional tree trimming, tree removal and stump removal services to the Phoenix Metropolitan area. We are fully dedicated to the beauty we can provide to a landscape and the bond we gain upon making a new satisfied client and friend. 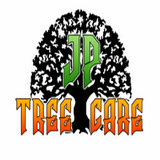 At JP Tree Care LLC we take pride in each individual job and have come to learn that no two projects are alike. We will assess each detail of your project to make sure to avoid any possible damages to pipe or other obstructions we may come across during our process. We would really love to hear from you so please drop us a line below or contact us today to learn more. 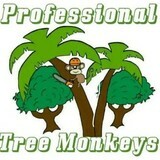 Professional Tree Monkeys is a tree services serving the Tempe, AZ area. Services include Tree Services, Emergency Tree Removal, Tree Removal, Cabling & Bracing, Chipper Service, Commercial Tree Services, Crane Services, Pruning & Trimming, Storm Damage Cleanup and Stump Grinding & Removal. 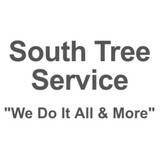 My name is Mark South the proud owner of South Tree Service. We are a family owned and operated business (insured & bonded). We have been serving all of Arizona for 20 years with fast, affordable, and most important, PROFESSIONAL service! We offer 24 Hour Tree Emergency Services & Free Valley Wide Estimates. We Do It All & More! Our company provides excellent service to a large number of families every year! We have an outstanding crew, with years of experience, ready to handle any job large or small. We strive to work harder everyday to provide superior service to all of our customers, we make sure to meet the customers needs and exceed their expectations. We are Arizona's Premier Tree Care and Landscape Asset Management Consultants. We provide essential services for Community Managers, HOA Boards, and homeowners who care about the health and long-term appearance of their landscape assets. We are known for our Landscape Audit™ which is an all-inclusive evaluation of all elements of your landscape, from the soil, to the horticulture and trees, to your irrigation and hardscape. We leave no stone unturned. The Treeàge team of experts includes Arborists, Irrigation Specialists, Real Estate Professionals, Landscape Architects, an Environmental Engineer, and fertilization technicians. Our goal is to help you have the best trees and shrubs in Arizona. We diagnose and treat all landscape issues, commercial and residential. And because of the harsh arid climate in Arizona, soil rejuvenation and deep root feeding is a primary focus. Your trees and shrubs need and deserve extra help offered only by Tree Theory to help them thrive in the engineered environment of which they are a part. Arbor Care is a family-owned company that has provided professional, quality tree care to Phoenix and surrounding cities since 1997. We love what we do. We’re passionate about tree care, and we’re good at it. We put at least one certified arborist on each crew, which means you’re guaranteed to receive the highest in quality and efficiency. Our experienced teams of highly trained and skilled tree workers have decades of shared experience trimming and caring for trees, and have the right training, tools, and know-how to tackle any tree problem you call us with. Arbor Care complies with International Society of Arboriculture Standards to leave your trees looking healthier than ever. Arbor Care is dedicated to offering the best possible services, convenient and efficient times, and the best prices to all of its clients. Hayward's Phoenix Tree Removal has professional tree equipment to service your trees. A bucket truck, wood chippers, stump grinders of all sizes, and tree fertilization units are some examples. Our residential and commercial clients rate Hayward the top professional tree services in Phoenix, Arizona and surrounding areas. Hayward takes pride in our professional Arizona tree crews and can take care of all your Phoenix ArizonaTree Service needs. Our company has been doing stumps for 33 years, and as you can see no stump is to BIG or to small, same day service in most cases, and evening and weekends are available. Adam and his 8 man team are a small operation that has been serving Gilbert and the surrounding areas for the past twelve years. Adam Gilletti is the owner and operator of the business and is involved with each project that God's Green Earth performs. As a company that sprouted from the ground up in 2004, God's Green Earth prides itself on the humble beginnings the company once had when Adam would bike from door to door prospecting for more business. If you are looking for an all-american team of hard working and professional individuals - God's Green Earth will be available to perform an estimate and setup an appointment for any of your needs. Motosierra LLC is a professional tree company that specializes in full scale tree service. We are small enough were you deal directly with ownership. Yet big enough were we can tackle just about any job. Motosierra services Residential homes, commercial properties, HOAs, golf & resorts, schools, and government agencies. We also hold partnerships with several other companies that count on our expertise to help with challenging projects. We owe our success to excellent customer service and extensive knowledge of arboriculture. Your Scottsdale, AZ tree service professional or arborist might work in conjunction with another landscape professional to create a seamless landscape design. Here are some related professionals and vendors to complement the work of tree services: Landscape Contractors, Landscape Architects & Landscape Designers, Garden & Landscape Supplies. Find tree service professionals on Houzz. Look in the Professionals section under Scottsdale, AZ tree services. You can look through portfolios and read reviews to see what past tree care clients have to say.